The enterprise workstation market just got a bit more competitive thanks to HP. The Palo Alto, California-based computer manufacturer just unveiled the next generation Z Turbo Drive G2, which will be installed in this year's HP Z Series workstations. The new Z Turbo Drive G2, which is the second generation of HP's workstation storage solution, is four times faster than a standard SSD and fourteen times faster than a disk, according to HP. Its PCIe Gen3 can read 2GB of data in one second, and its non-volatile memory is three times faster than the previous Z Turbo Drive. The Z Turbo Drive G2 can be configured with Windows 7, Windows 8.1, RHEL 6, SLED 11, and Ubuntu 14.04. The new drive will be installed in new HP Z 440, Z 640 and Z 840 workstations starting in June. It will come in two capacities, 256 GB and 512 GB, priced at $399 (about £339/AU$579) and $699 (about £420, AU$750), respectively. 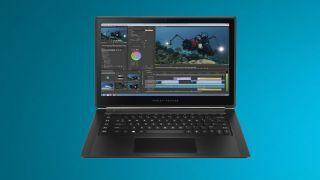 HP has also introduced a new mobile workstation, the HP Omen Pro, which falls just below the HP ZBook 15 in HP's mobile workstation hierarchy. Designed more for mobility than for power, the Omen measures in at 0.78 inches tall (19.9 mm), and weighs 4.68 lbs (2.12 kg). The new workstation features a 4th generation Intel Core processor, NVIDIA Quadro K1100M graphics, and a full HD touchscreen. It features four USB 3.0 inputs, one mini DisplayPort 1.2, one HDMI port and up to 16GB of memory and 512 GB of PCIe SSD storage. The Omen is now available for $2199 (about £1,354, AU$2,265). HP also unveiled new monitors aimed at the design and video professional. The HP DreamColor Z32x is the top of the line. It features a 31.5-inch UHD 4K display that presents eight million pixels on a 16x9 aspect ratio. For those looking to use their displays for multiple projects, the Z32x comes with an HDMI 2.0, mDP, DP, MHL, DVI, and a USB 3.0 port. The Z32x will be available in the summer for an undisclosed price. HP's new narrow bezel series monitors don't pack quite as many pixels into the display as the Z32x, but they sure are pretty. The largest of the four new models, the 27-inch HP Z27n, features a Quad HD display surrounded by three near-borderless sides. Also built with a 16x9 aspect ratio the monitor is capable of producing 3.7 million pixels. It features a similar port set as the Z32x but with an HDMI rather than HDMI 2.0. The Z27n will be available in June for $649 (about UK£405, AU$634). Similar monitors are available in 25-inch, 24-inch and 23.8-inch QHD and FHD formats. They will also be available in June, with the most affordable model starting at $299 (about £194/AU$382).